That being said, I chose my second book for the year both in awe and curiosity for how widespread Rupi Kaur's work has become. To my knowledge, Kaur is the only modern day poet (maybe the only poet ever) to sell out arenas, and she currently has 2.2 million followers on Instagram. Her work focuses on themes of love, relationships and feminism, but she also dives deeper to talk about abuse and racism. The New York Times has named Kaur and her peers the most popular poets in the world, but her work has been met with criticism, too. Nayyirah Waheed, another Insta-poet, accused Kaur of producing work that was a little too similar to Waheed's salt, published in 2013, after Kaur named Waheed one of her inspirations. Kaur's work has been tweeted, pinned and turned into memes on Twitter. All of that being said, Kaur has made a name for herself in the lit world (and the real world) that's surpassed Instagram fame... so now I'm checking out the hype. You can see my selection from last month's book club here. 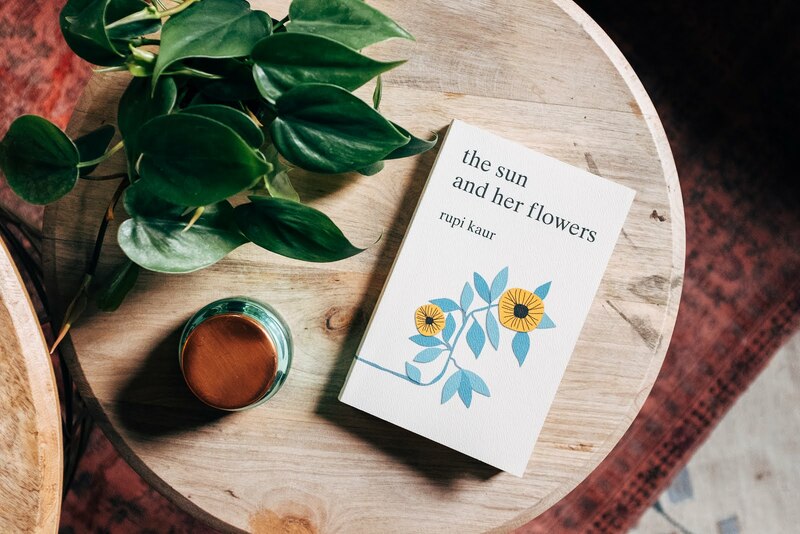 Have you read the sun and her flowers or Kaur's first book of poems, milk and honey? Let me know what you think!